After a goalless first leg, Arsenal and Chelsea lock horns at Emirates Stadium in a most anticipated EFL Cup semifinal. Who will win the 2nd leg? 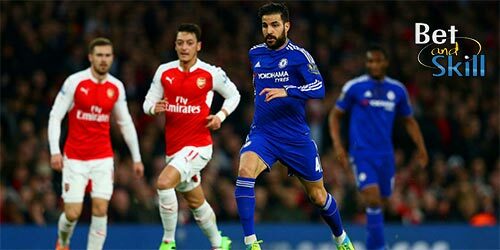 Don't miss our Arsenal vs Chelsea betting preview with expert predictions, betting tips, probable lineups, team news, enhanced odds, bookie promotions and no deposit free bets! Claim a HUGE 25/1 ANY Team to win a corner in Arsenal vs Chelsea! Arsenal begin life without Alexis Sanchez who has move to Man UTD earlier this week. After a thrilling 2-2 draw in Premier League at the beginning of the month, the Gunners earned a 0-0 draw at Stamford Bridge in the first leg and are favourites to reach the final. Arsene Wenger's men have managed to win just one match in the last six played, a 4-1 victory over Crystal Palace last weekend. They have only kept one clean sheet in their last seven fixtures. In terms of direct matches, Arsenal have defeated the Blues just once in their last eight direct encounters on their own turf. Jack Wilshere is fit to line-up against the Blues and will play in midfield alongside Granti Xhaka despite Aaron Ramsey should be in contention after missing Saturday's game through illness. Hector Bellerin and Ainsley Maitland-Niles will start as wing backs in a 3-4-2-1 system while Sead Kolasinac is expected to play in the three man defense with Laurent Koscielny and Shkodran Mustafi. New signing Henrikh Mkhitaryan is uneligible having featured for the Red Devils in this competition earlier this season. Alexandre Lacazette will lead the line, while Mesut Ozil and Alex Iwobi should start as offensive midfielders. Chelsea ended a run of five draws in a row with a 4-0 win over Brighton at the weekend, a result that extended their unbeaten run in all competition to 12 matches. Antonio Conte's men have collected three clean sheets in their last four away games but they are underperforming in attack. Even with Saturday’s four goals, they are still the joint lowest scorers (alongside Arsenal) in the top six. The Blues have suffered just one defeat in their previous eight visits to this ground. Pedro and Alvaro Morata are available again after serving their suspension at the weekend. Cesc Fabregas is facing a race against time to get fit for this clash. Should the Spaniard miss out, Ross Barkley could make his debut at some stage during this match. Danny Drinkwater and Gary Cahill are also major injury doubts. Alvaro Morata will be restored as central forward while Eden Hazard and Willian will play as number ten behind the former Real Madrid striker. Marcos Alonso and Victor Moses should feature from the off as wing backs, with Tiemouè Bakayoko and Ngolo Kantè anchoring the midfield. In defense, Antonio Rudiger is likely to replace Gary Cahill. Get 40/1 Arsenal or 30/1 Chelsea to win! "Arsenal vs Chelsea predictions, betting tips, lineups and free bets (EFL Cup - 24.1.2018)"